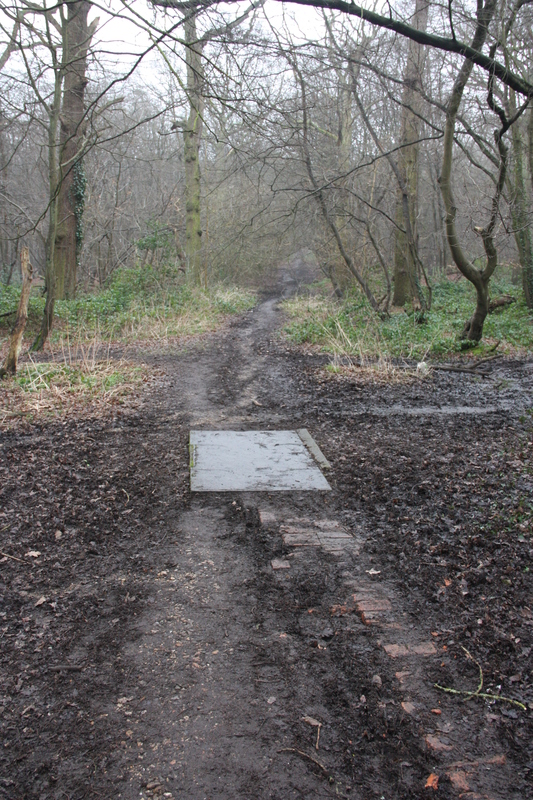 Earlier this year I took a wander into a part of Oxhey Woods called Paddock Spring accessed from Gosforth Lane via the entrance next to the ATC and army cadet huts. 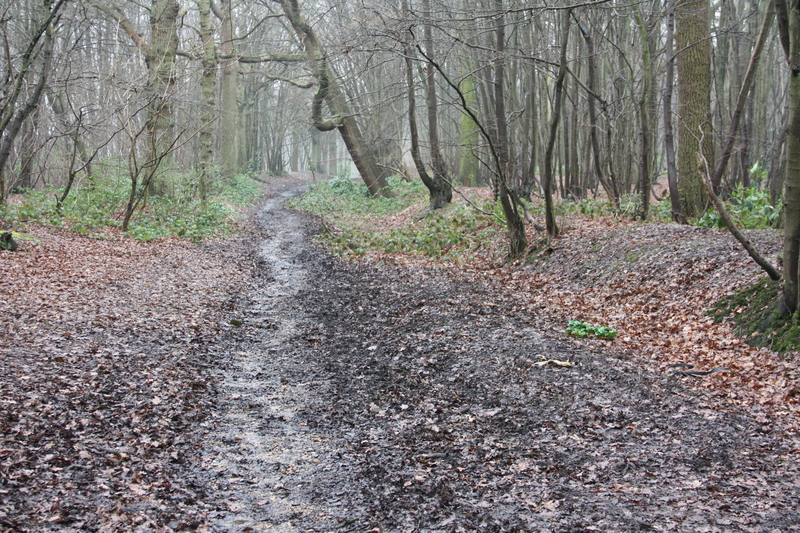 Back in the 1950’s there were two old cottages at right angles to the road here, one of which was the first police station. 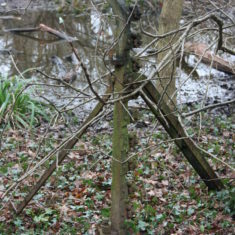 In the 1860’s there was a timber yard, saw pit and workshop here. 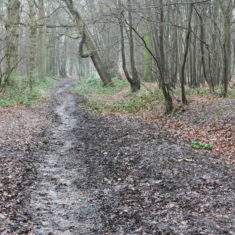 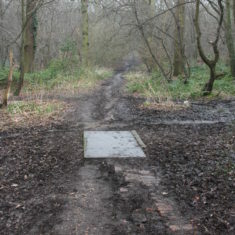 The track that runs from Gosforth Lane through to Oxhey Drive is many years old and is flanked by embankments. 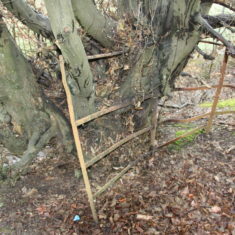 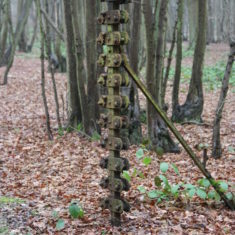 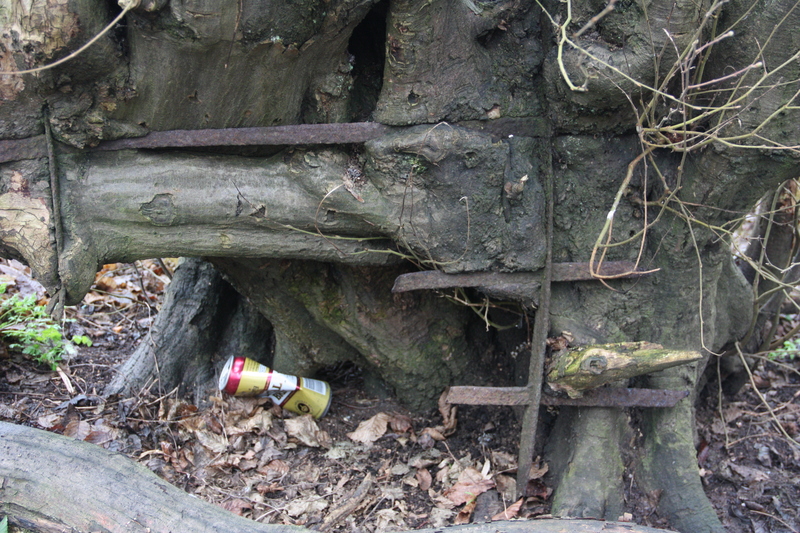 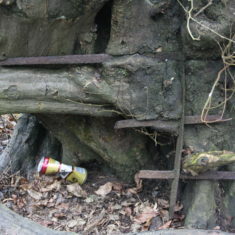 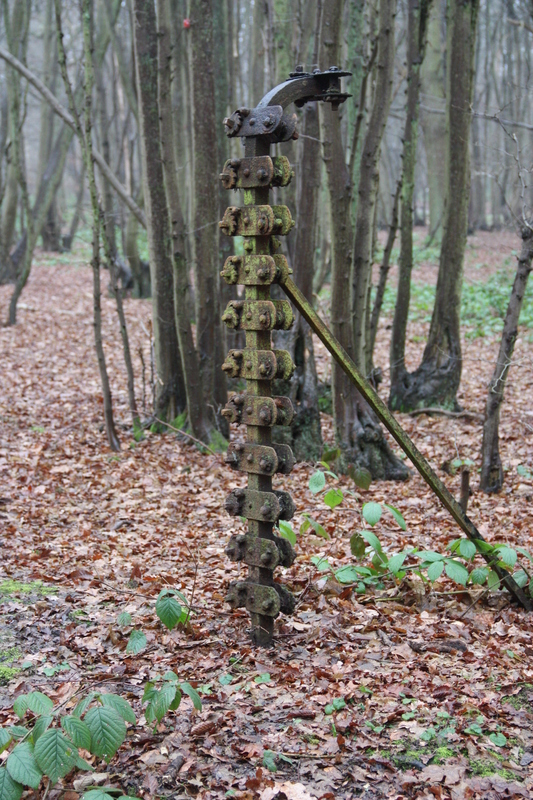 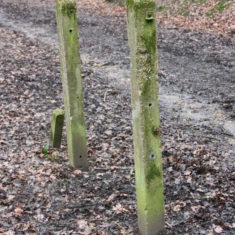 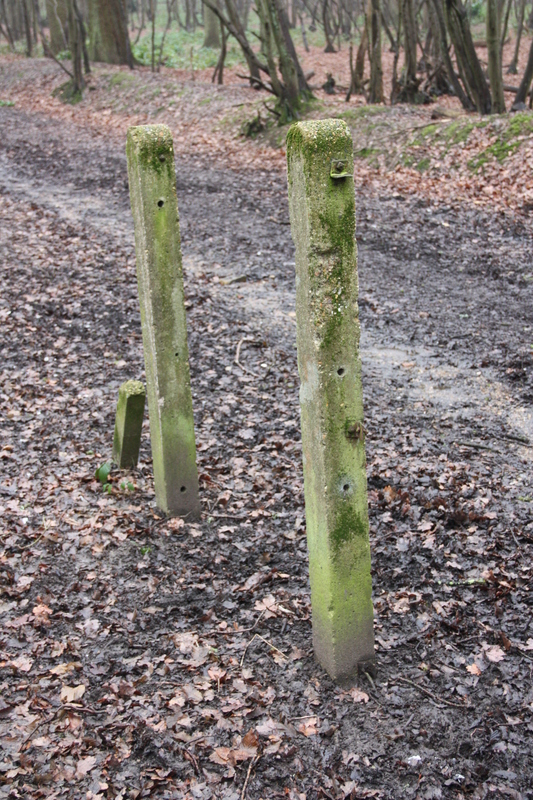 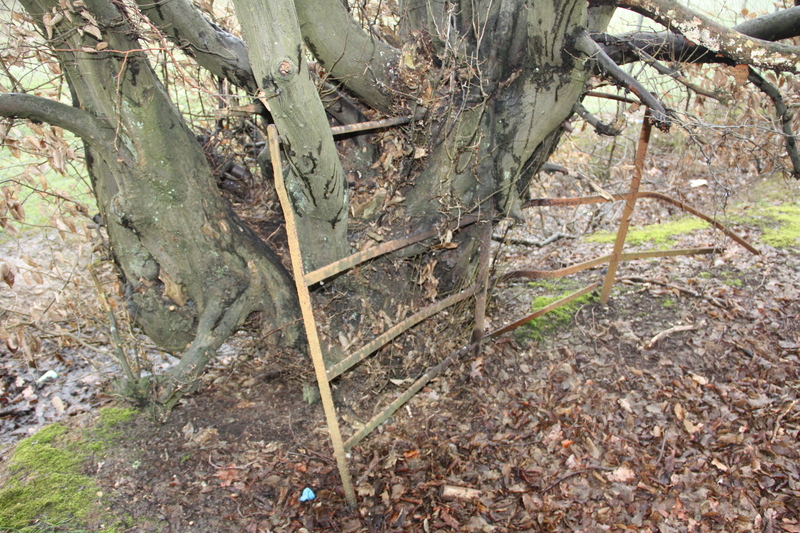 There are a number of unusual metal fenceposts and gateposts along the route of the track. 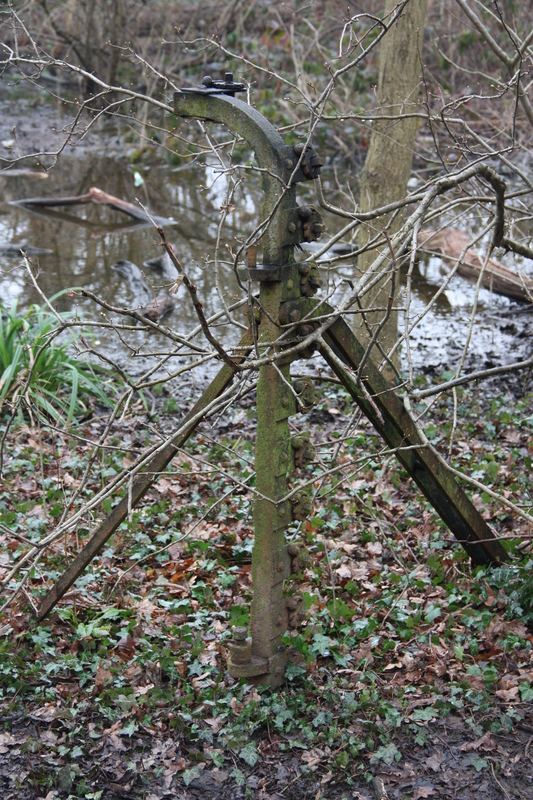 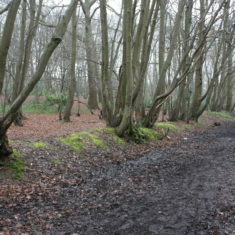 There are traces of old metal fencing along the boundary with St Joseph’s School grounds which the trees and shrubs have now enveloped – this was possibly the boundary of the Oxhey Place grounds. 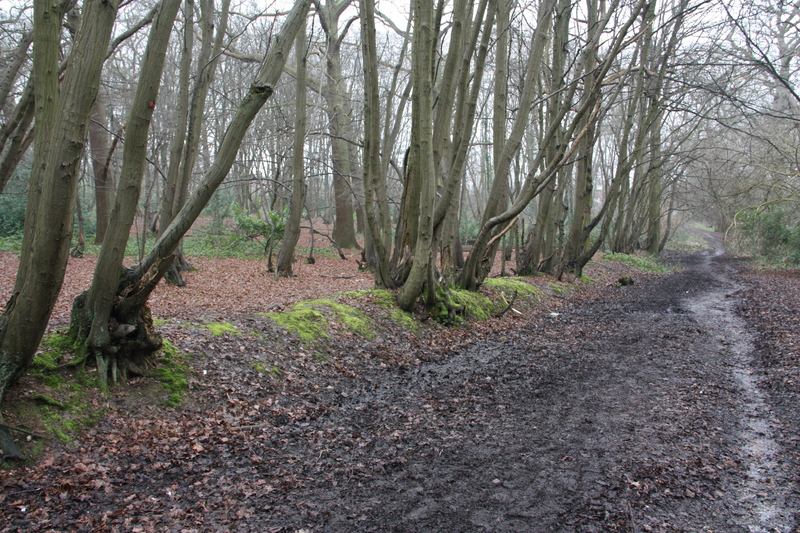 I hadn’t been in the woods for some years and was pleased to see little has changed, with traces of Hornbeam coppicing still evident.